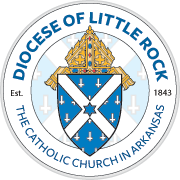 For more than 160 years Catholic schools have been providing a quality academic, faith-filled education for children of all faiths in the Diocese of Little Rock. The goals set forth by Catholic schools in Arkansas are preparing students for life in today's Church and society and for leadership in society and the Church of tomorrow. Throughout the history of Catholic education, students are provided the opportunity to receive strong, basic and contemporary instruction infused with the beliefs and values of the Catholic Church. The Office of Catholic Schools is responsible for providing leadership for administration and supervision of the elementary and secondary Catholic schools, both parochial and private, in the diocese. It coordinates educational programs according to the philosophy of Catholic education and priorities outlined by the bishop, and serves as liaison between the Church and state in all matters pertaining to education. The superintendent also acts as advocate and spokesman for the 28 Catholic schools in Arkansas. To learn more, see School Statistics. 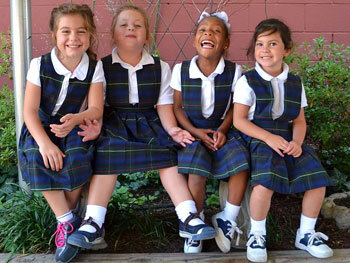 Read the latest news about the schools in Arkansas Catholic. For a more in-depth report, read the Catholic Schools Herald, which is published four times a year. The two pillars represent the home and school working together to build the Church. The three bands on top suggest the three-fold purpose of Catholic education: to teach the Gospel, build community and be of service. The cross reminds us that Christ is at the center of our schools. The logo also suggest a stylized book, the Bible. 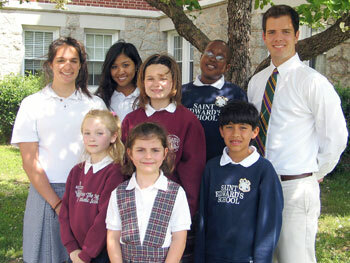 The Catholic Schools of Arkansas Scholarship Appeal was established to make Catholic elementary and secondary schools affordable to families who desire a Catholic education, but cannot afford it. To learn how you can help, visit Schools Scholarship Appeal.